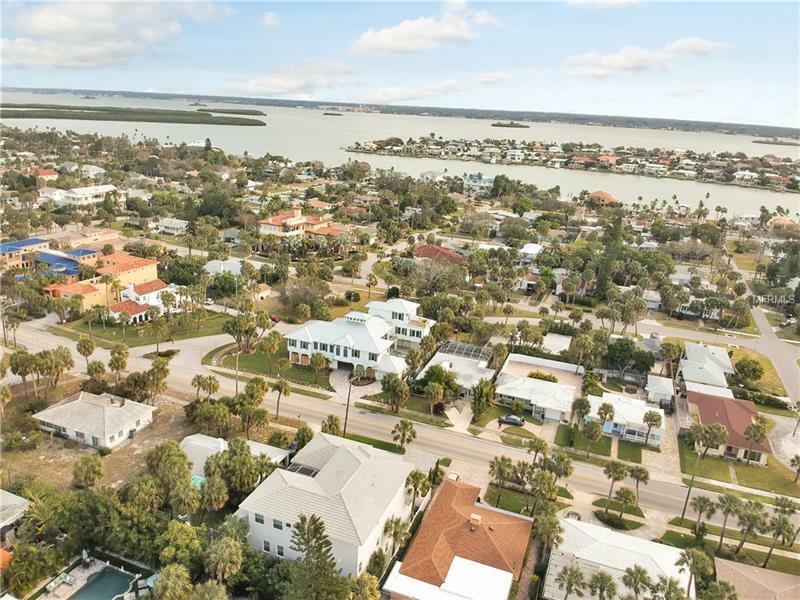 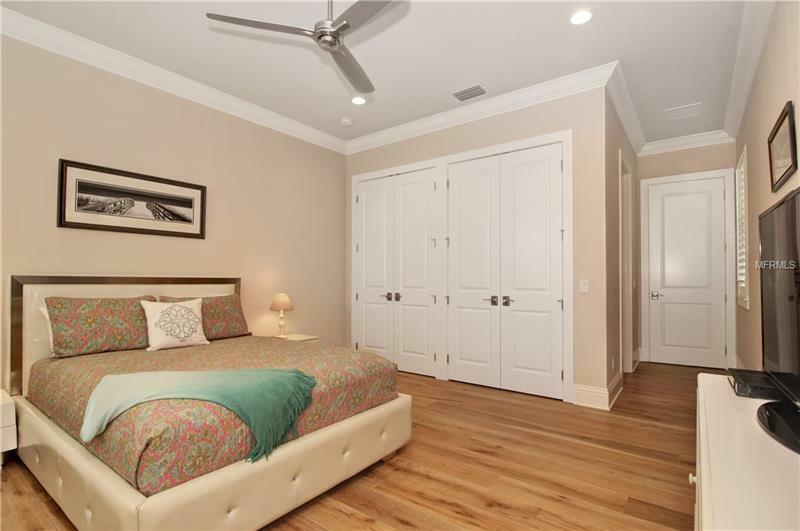 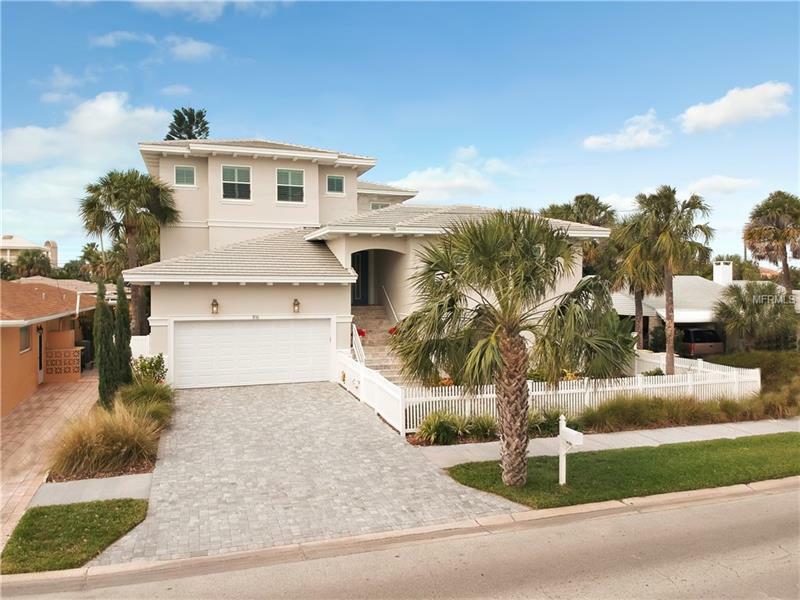 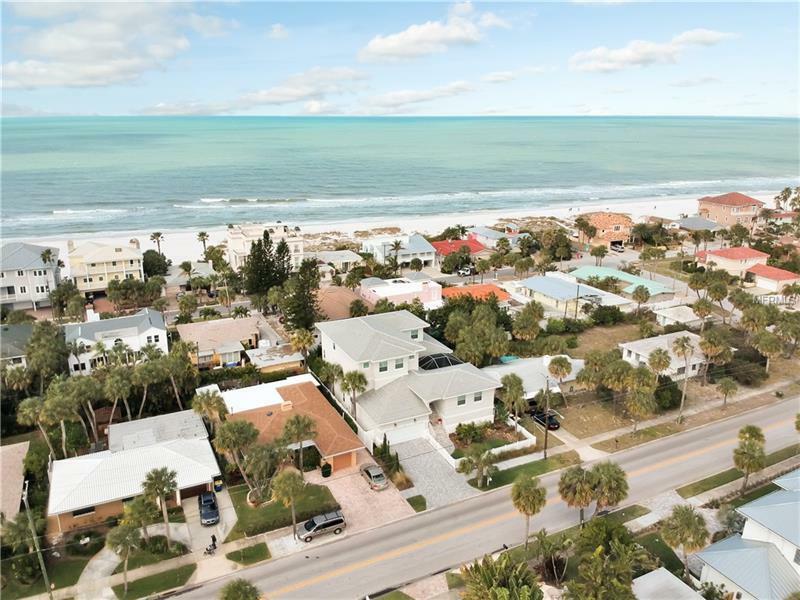 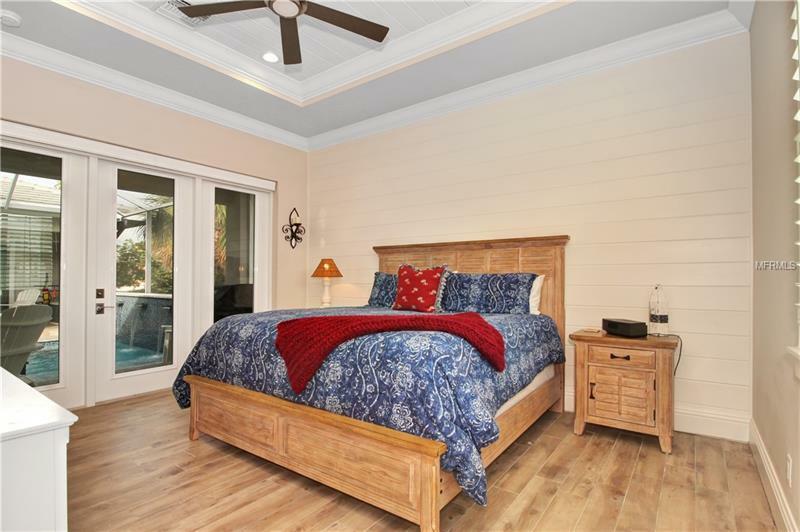 4 Bed/4.5 Bath newly built house, with 2 stall Oversized Garage1400+ sf of storage space on ground floor .5 min walk to beach, walking distance to downtown Clearwater, restaurants, activities, beach, pools, tennis, marina. 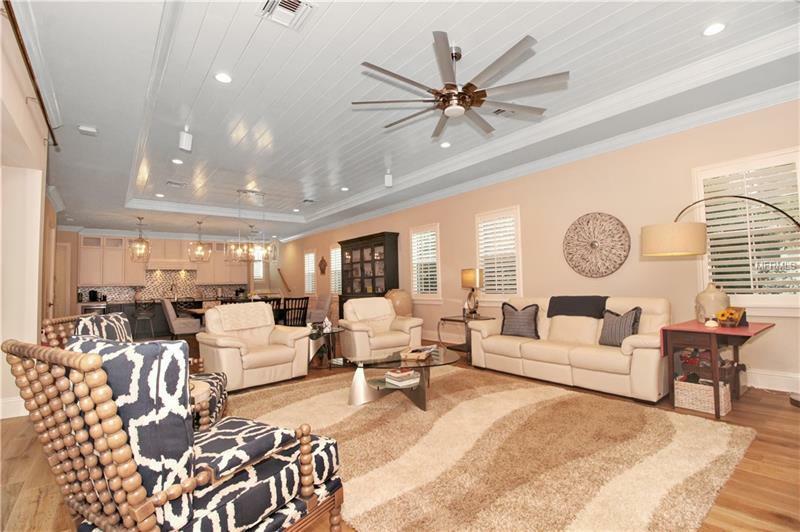 Great Room floor plan, Courtyard style 3-story home, that wraps around Lanai and heated pool on the second Level for entertaining. 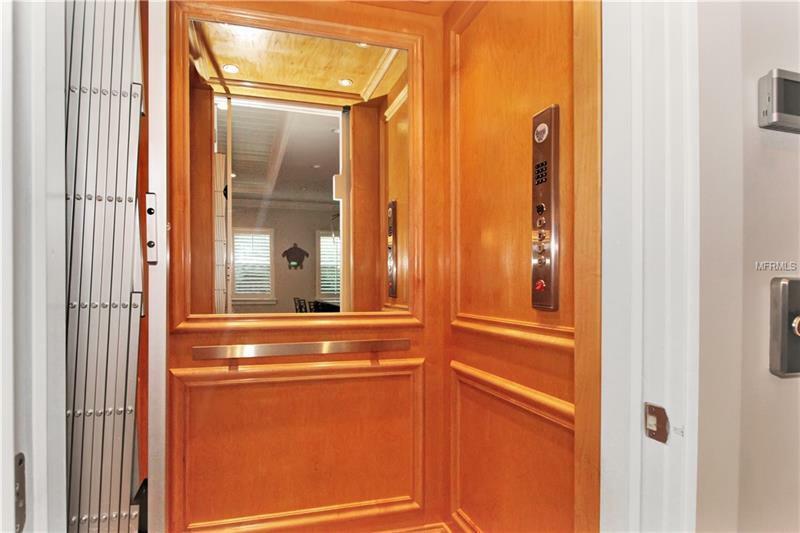 Elevator for all three levels from Garage to 3 rd floor bedrooms. Attached (2 nd floor)âseparate guest houseâ with bedroom, kitchen (micro, sink, frige, walk- in closet and a full bth. 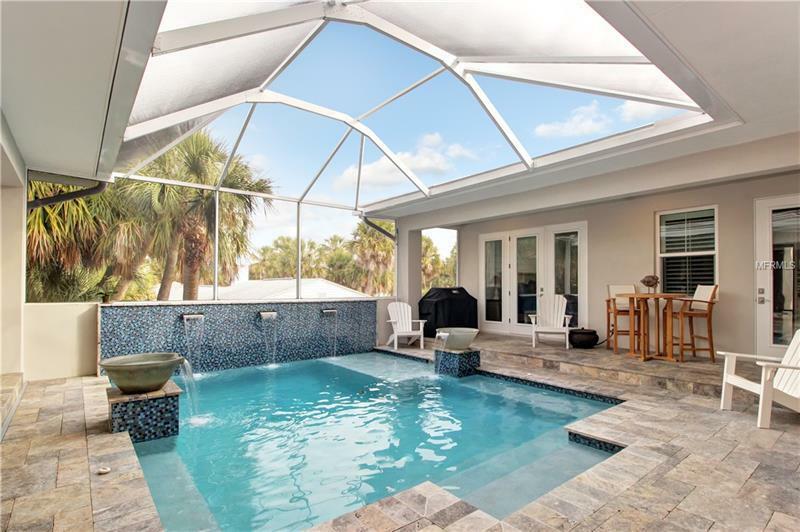 French door leading to pool w/tiled wood look floors. 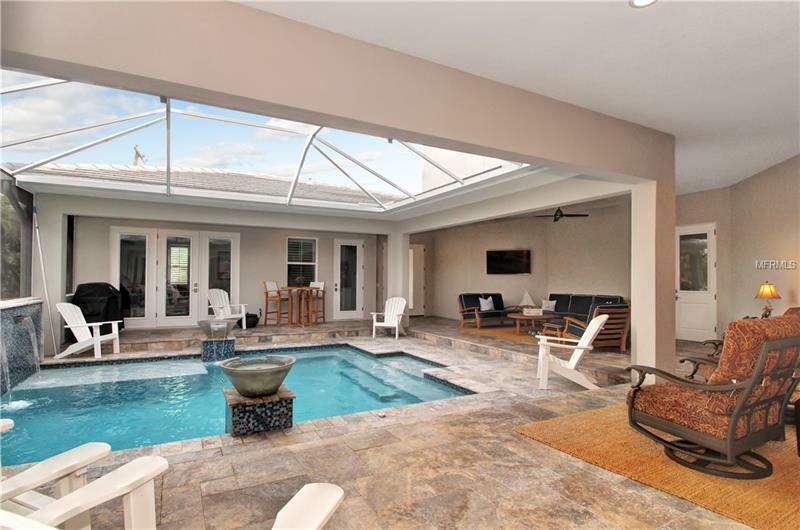 Screen enclosed Custom heated pool on 2nd level with travertine deck on lanai and front steps. 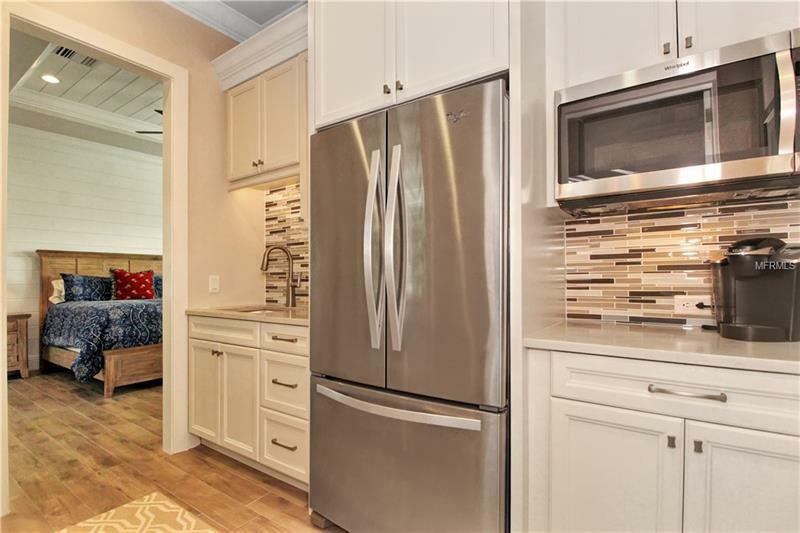 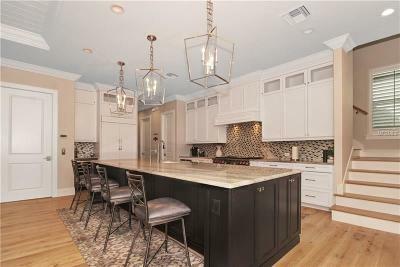 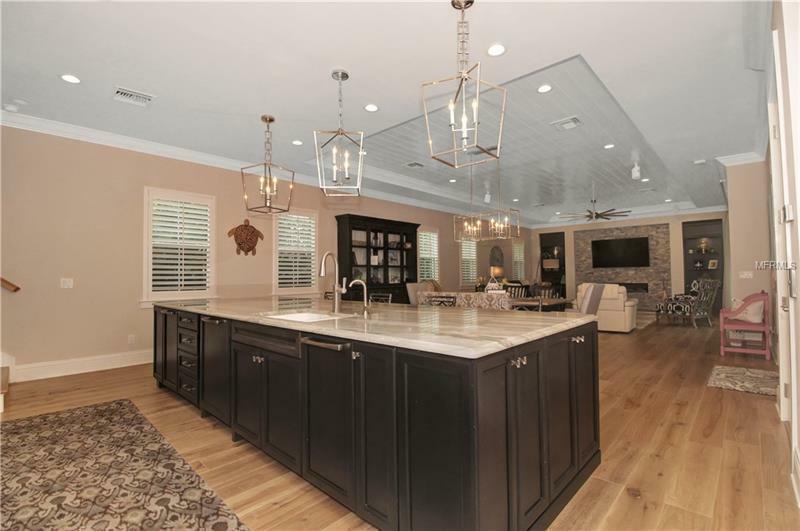 Gourmet Kitchen w/custom cabinetry, 48â Duel Fuel Wolf Range, Built-In French Door fridge, large walk-in pantry, 13â island for entertaining along with custom countertops. 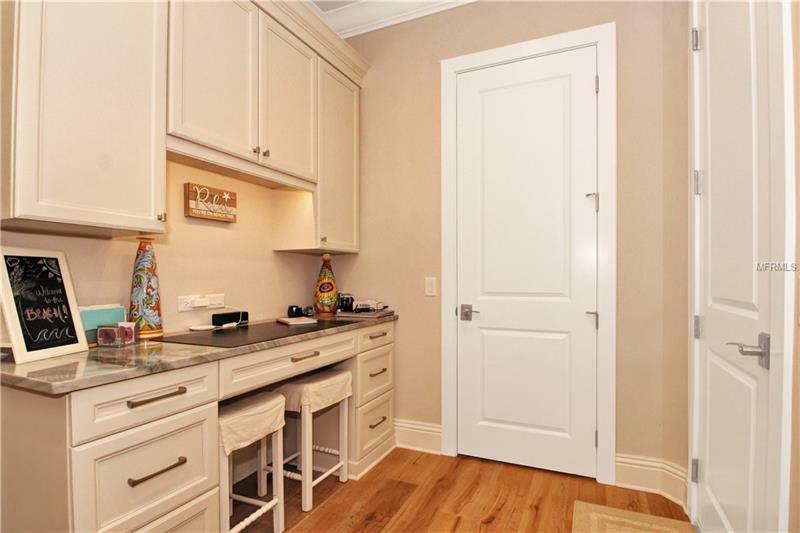 Built-In Office Desk area. 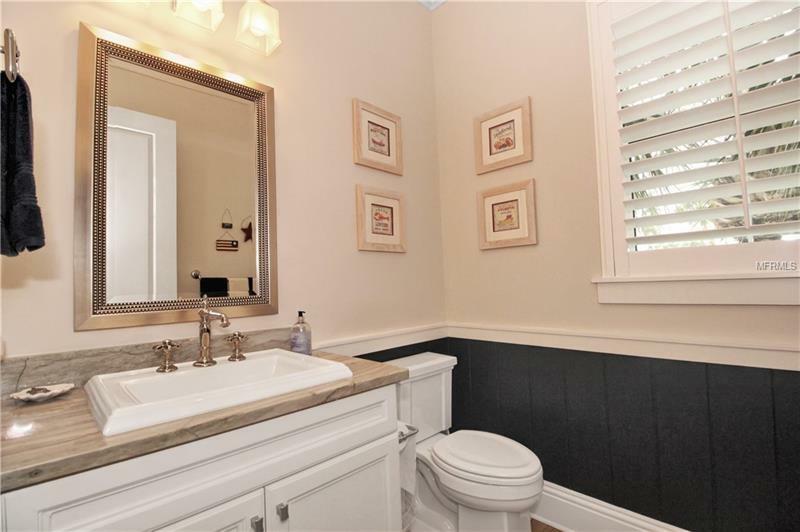 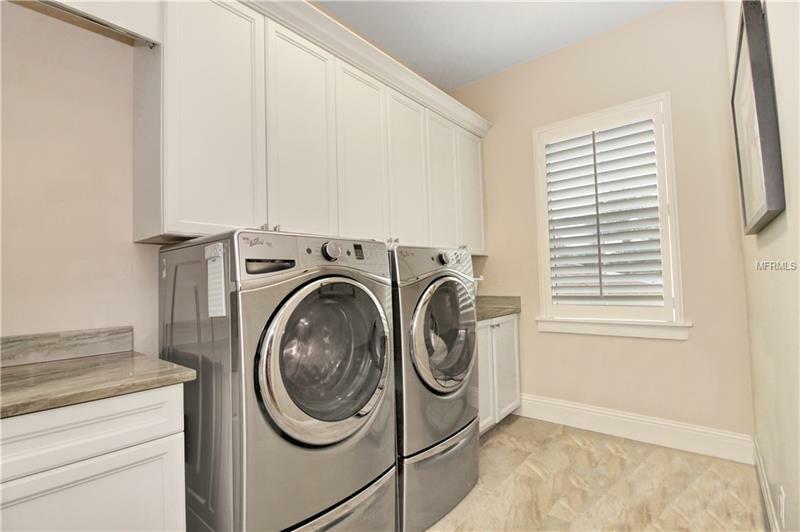 Hardwood floors and stair treads throughout the main home, with tiled laundry and remaining bath areas. 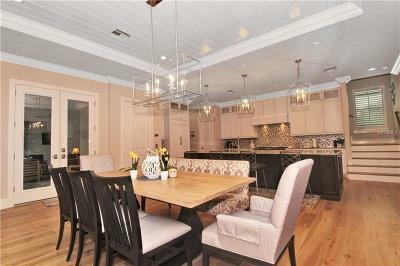 Custom Crown Molding throughout, and shiplap ceiling detail in great room/dining area. 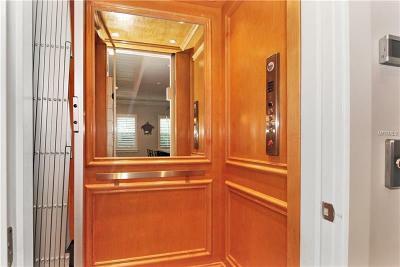 Security system included. Main level Grand Room has a contemporary fireplace on a custom stonewall. 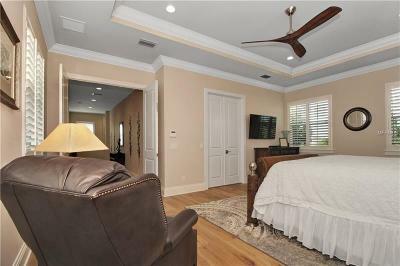 Custom wood shutters and drapery panels included. 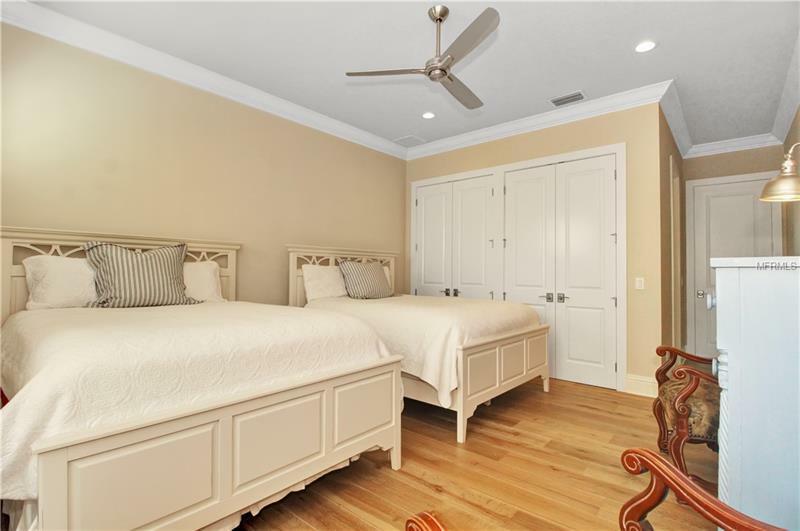 3 rd floor has 3 bedrooms and 3 baths â Master, and two oversized guest suites with own baths. 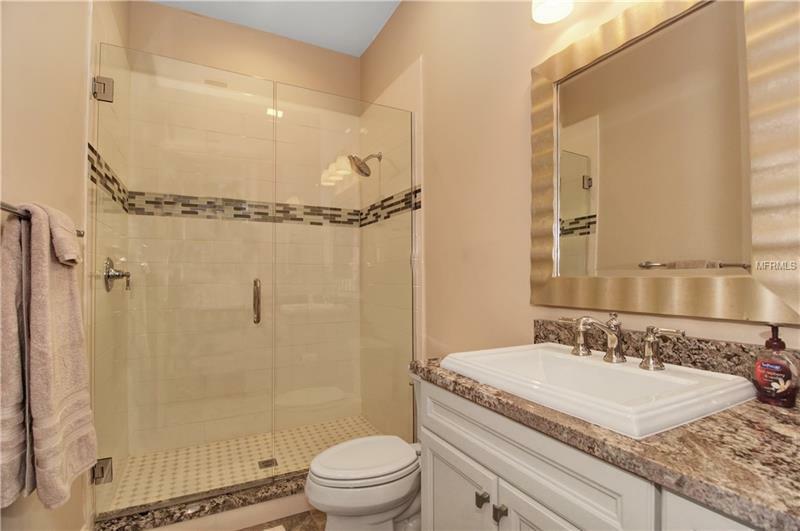 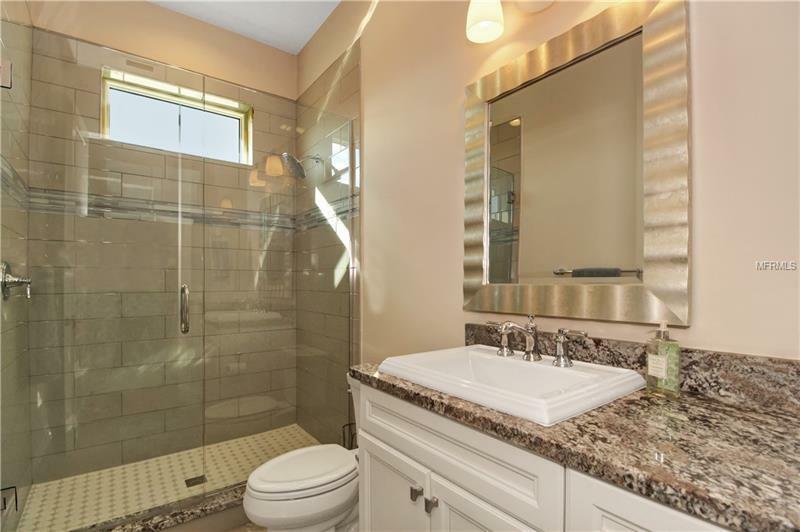 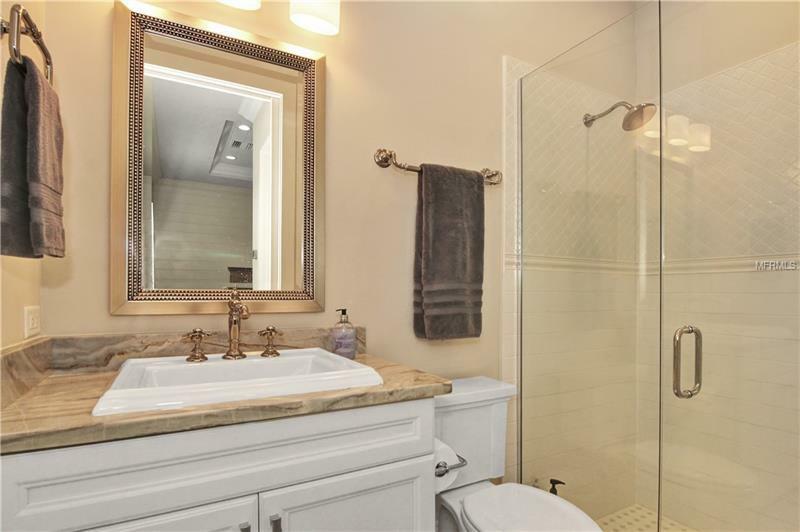 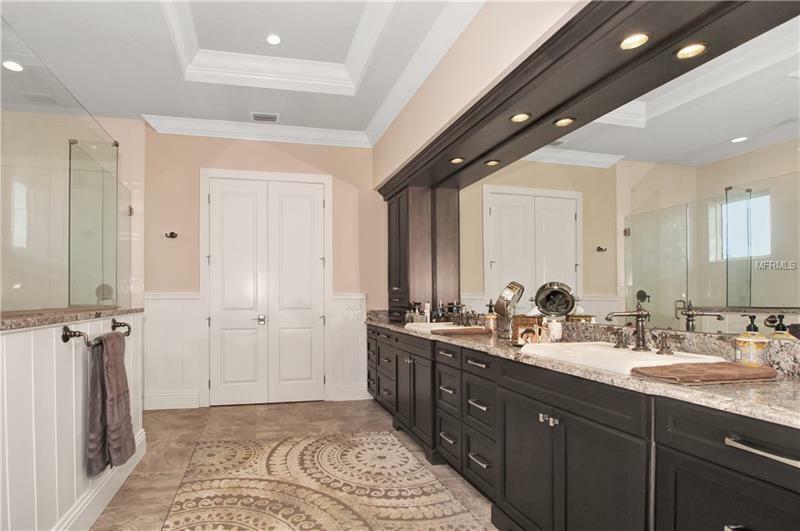 Master boasts an oversized shower, large dual vanity and superior walk-in closet complete with custom closet system.